The 2018 Flower Blossoms Program has resulted in the addition of 52 flower boxes in Downtown Lakewood. Volunteers are the lifeblood of the Flower Blossoms Program. Longtime LakewoodAlive volunteer Kathy Haber – a nearly 40-year resident of Lakewood – has coordinated the Blossoms Program since 2007. What started as hanging baskets that proved difficult to water has evolved into flower boxes featuring built-in water reservoirs significantly reducing watering requirements. Haber’s team of 15 volunteers waters the flower boxes three times per week throughout the summer. Each volunteer is responsible for watering a section of flower boxes and bringing water from home in jugs. 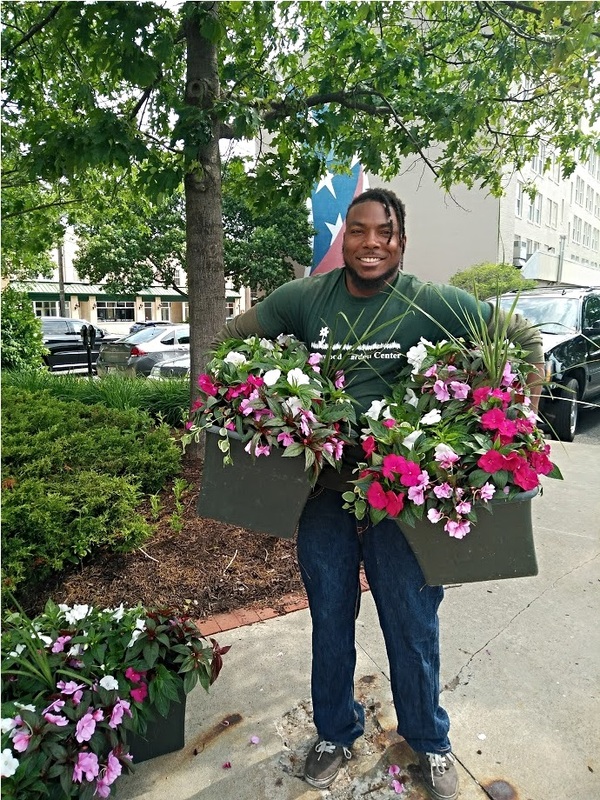 With assistance from Lakewood Garden Center owner Paul Bilyk, who coordinates the Blossoms Program with a grower, the materials were dropped off at the Lakewood City Center Plaza on June 7. There, Haber was joined by fellow volunteers from Rozi’s Wine House and Lakewood Garden Center to distribute completed flower boxes to program participants. 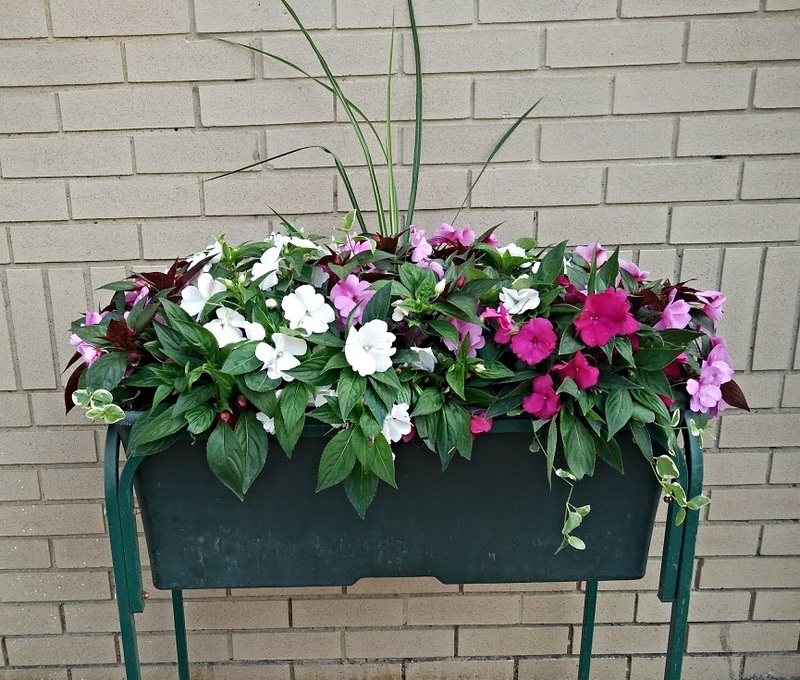 The success of the Flower Blossoms Program has enticed several merchants outside the downtown district to purchase flower boxes on their own. Meanwhile, many longtime anchor businesses in Downtown Lakewood have faithfully participated in the program for many years. For more information regarding the Flower Blossoms Program, visit LakewoodAlive.org or contact LakewoodAlive at 216-521-0655. 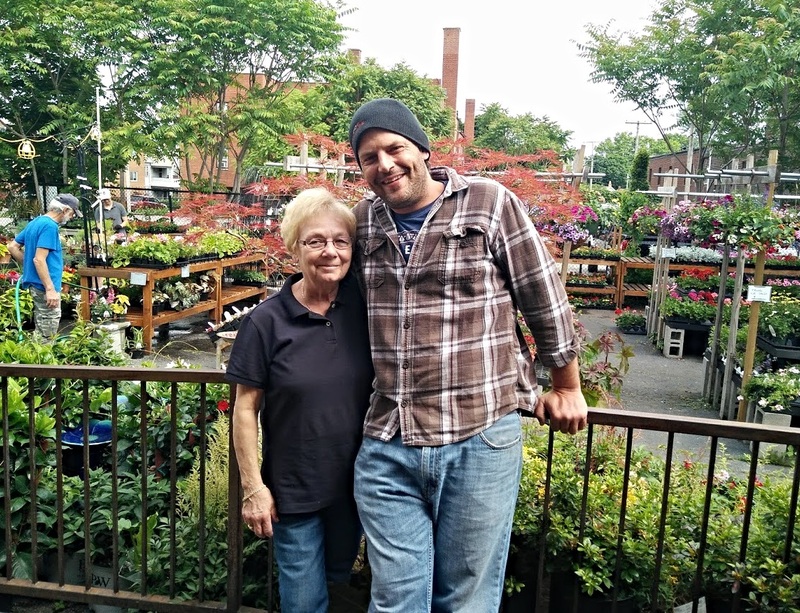 Volunteer Kathy Haber and Paul Bilyk, owner of Lakewood Garden Center, serve as the dynamic duo behind LakewoodAlive’s Flower Blossoms Program.